Ultimately, we want to make sure the community is able to produce food in plentiful supply, which will sustain it and give them surplus to trade, as well as having shelter and work, which will help to establish a thriving community. 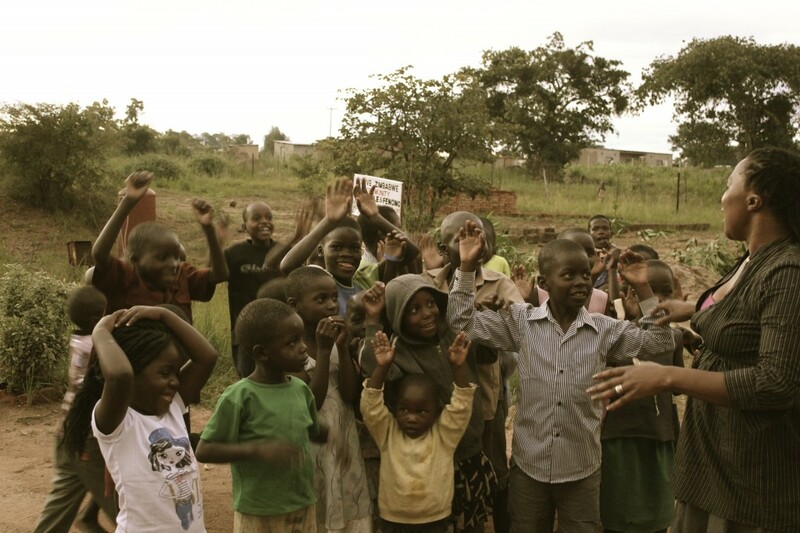 Love Zimbabwe is a registered charity in Wales, with a number of the trustees and active supporters living there. The Welsh Government is committed to and has actively supported Love Zimbabwe in promoting fair trade. We support community projects in Wales and Zimbabwe and we aim to engage different communities to achieve sustainable living. The Welsh schools’ curriculum supports Education for Sustainable Development and Global Citizenship, which means that children learn about sustainability and other cultures. We have twinned schools in Abergavenny in Wales, with Chinamhora Village, and other schools around Harare. We’ve taken donations to Zimbabwe for schools, such as football kits and guitars which allow the children to enjoy more recreational activities. Our founder, Martha Musonza Holman, teaches in schools, encouraging young people to make simple practical changes to support fair trade. She also participates in the Global Citizenship programme by educating children about African culture, with drumming and singing workshops. We’ve donated a number of wheelchairs to people in Chinamhora giving them freedom they would not have had, as well as supporting a group of mothers of disabled children, to start up their own bag making business. We are associated with Love Zimbabwe Fair Trade, which is a Community Interest Company (CIC). The company trades the African arts and crafts made by artists the charity supports in Zimbabwe. The company works on the principles of fair trade, and by dealing directly with the people who make the products, they make sure that they receive a fair price for their goods. The artists and producers are free to trade with whomever they want, however the CIC provides them with an outlet for their impressive arts and crafts here in the UK.